Details have been released today about the second major expansion to Final Fantasy XIV: A Realm Reborn, which will take the form of the Final Fantasy XIV: Stormblood. During the Final Fantasy XIV: Stormblood expansion players will takes their heroes to the faraway lands of Ala Mhigo, which has been oppressed and occupied by the Garlean Empire for 20 years. The older generation longs for their days of freedom. The newer generation has grown up under Garlean rule and knows nothing else. There is a disparity in perspective between the old and the new that changes their mutual experience. This same disparity exists between veteran Final Fantasy XIV players and new ones. And it’s a gulf that Producer and Director Naoki Yoshida plans to bridge. But unlike the first expansion, Heavensward, which pulled our heroes into European high fantasy and an ancient war, Stormblood is a new beginning in both story and design. 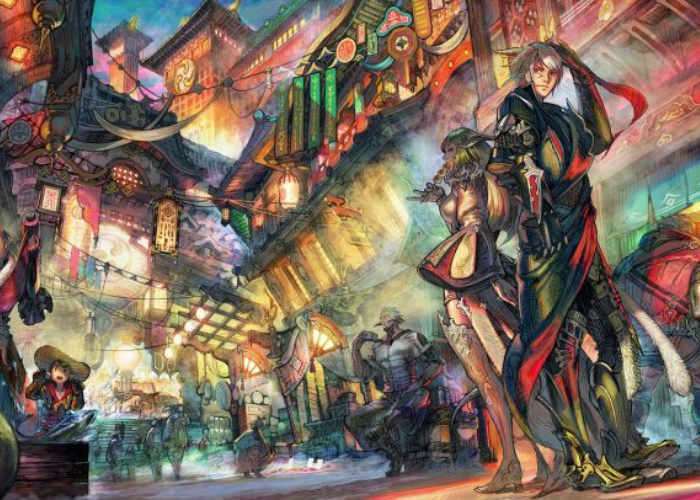 The result is a more approachable, more visual Final Fantasy XIV — one that aims to bring the community closer together, and welcome newcomers who have yet to see some of the best the franchise has to offer. Let’s be realistic: not everyone interested in Final Fantasy XIV has several hundred hours to spare to play through the staggering amount of content in A Realm Reborn and Heavensward. That’s why the new Tales of Adventure items exist. These optional items can be purchased to skip forward in the story, or boost a single class up to level 60 (the new cap is 70). Currently, only one job can be boosted per account, but this goes a long way in bringing new heroes into the fold. For more information on the new Final Fantasy XIV Stormblood jump over to the official PlayStation Blog website for details by following the link below.